Could I connect say 3 of these, side by side using the HDMI's as some form of daisy chain to get a huge Windows desktop? Cheers. The processor isn't massively fast, but it gets similar scores to the Intel Pentium 4415Y in the new Surface GO which I've been using for a while now at work and that is plenty fast enough in Windows, also comparable to something like a 3-5th generation Intel i3 U processor. This is one of the best ultrabooks out there. As already mentioned it's extremely rare to get dedicated graphics in 13" form factor; there's a few, Nvidia MX150/250 but the majority suffer from CPU/GPU throttling because there just isn't sufficient cooling space (two fan solutions are a must). Best bet is Razor Blade Stealth 13"; that or ignore the dedicated graphics, MX150 is hardly great gaming after all! Same applies for 14" designs, Huawei Matebook 14 (2019) is best hope. Matebook X Pro throttles. 15" form factor and Nvidia GTX 1050 Ti comes into play so actual gaming class. 13/14" ultrabooks are U series processors so 9th gen not yet on horizon. 15" allows H series CPUs and 9th gen just announced (along with Nvidia 1650/1660 GPUs). Btw, RAM on 13/14" ultrabooks is pretty much all soldered on so make sure to buy what you need. Forgot to mention in the description that this laptop charges to 50% from flat in 30 minutes (manufacturer's claim). As you've said, dedicated GPU won't make any noticeable difference to what most people will buy this laptop for. You'd have to have pretty specific needs to require one. My 5-year-old laptop with an integrated GPU still holds up respectably with Web browsing, YouTube, office applications, basic photo touching up, Skype etc. Superb, thanks for clarifying, very helpful. I wonder why 6th June? Oooh getting defensive and going with the passive/aggresive insults... Represent! hmmm if it was just mountable it would be perfect. Heat though! I always think of Star Trek when they use that TV picture. Unfortunately, no speakers or headphones jack. 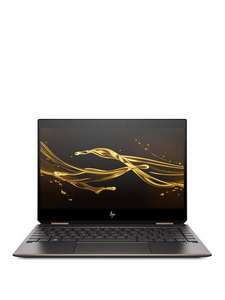 That's a really good deal, especially with the full feature USB c port, however the TN panel and build quality will definitely let it down compared to the IPS on this model, however the price reflects this, theres obviously going to be compromises at this price point but dont think you can beat the laptop you linked. Much better than a 1tb 5400rpm drive that are still being used in similarly specced laptops. I'd take the 128gb SSD anyday over a standard HDD especially if it's an nvme drive, 256gb or 512gb not really possible at this price point but I think there might be a space for a 2.5' drive, only if theres a sata port in there as I think the SSD only takes up the M.2 slot. Let down by the 128gb SSD. My mistake its £3 topcashback with a £5+ spend mentioned here. what does that mean buddy , £5 discount code or summing ? Oh, thank you for the information. Is there a website or code you can link me to please? These good for console gaming anyone know? Best £130 i've spent in a long time. That's what I've gone for. 2 of these monitors and a stand off Amazon to mount to all for roughly £150. Seems amazing. Hope it all looks the part when set up later. Only downside for me is no speakers, but good screen and HDMI for that price is a steal. Nope, it lacks the necessary VESA mount for that. Already posted I think, 100hz I think too but HP list it wrong. So this is not up to 4k standard? (sorry still getting my head around the the whole HD/QHD/UQHD stuff) as I am looking at getting a monitor with possible curve. How did u get the nhs discount? That doesn't make sense. I got my ps4 for £160 brand new. Iv probably spent £1000's on games. Does that make my ps4 a bad deal. Don't think the code is generic. Iirc it is generated during the subscription process. I chose the 15 free pages per month plan for the life of the printer. Within a few days of subscribing HP sent the ink cartridges out for free, which only need to be changed over once the originals that came with it run out. As long as you stick to the plan, when your printer runs out of ink it will automatically order more ink which you don't need to pay for. No Postage costs either. As with most things there are T+C's, there's 5 other threads for this printer on here. Should be some good info in there too. Instant Ink, pay a monthly fee for ink, from free for 15 pages, also a new printer usually comes with a few months free depending on the printer. A deal poster earlier gave a code which gave 12 months free ink for new HP printers, which makes this a bargain, assuming everything works. It cost more for one set of inks than for the printer. Sorry Cold. 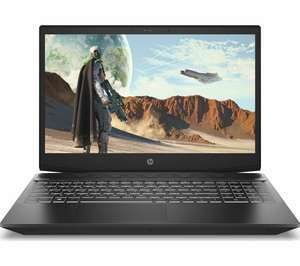 AMD Dual Core A4, 4 GB RAM, 32 GB eMMC, 100 GB Google Drive Storage for 2 Years, AMD Radeon R3 Graphics, Chrome OS) Save 20%. Currys sell a model with full hd for same price. Are they still getting rid of them ? I thought that ancient civilization bought them all! 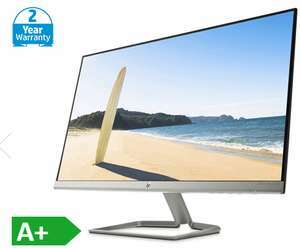 A 32 inch Monitor for £149, that's a lot screen for the money. Ordered mine and will be with me on Tuesday. Well I was gonna return mine due to all naysayers regarding res but thought will give it a go. For me it's perfect plus I paid 130 with student discount. Funny thing is it looks almost identical to 24 inch next to it as far as size is concerned. Is this ok for spare TV use to watch 1080p animes and movies? Yes, I thought it was a good deal. It is a Viewsonic and i bought it from CCL, who have a good enough reputation. Was on a day that eBay were offering 20% off, which brought the price down. Wouldn't really use a 32" 1080p for gaming due to the distance you sit from the screen it will look grainy better off with 1440p at that size, and 60fps isn't exactly ground breaking either. Still it's cheap and chearful, if it has a passive through port for sound it would be decent for PS4, Xbox etc. Thanks for your advice will deffo take onboard. Apologies. New here. Chromebooks aren't tins of beans. You need to put some specs in the post (e.g. 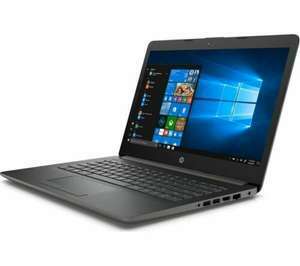 HP Chromebook 11-v001na 11.5-Inch Laptop - (Silver), Intel N3060, 4 GB RAM, 16 GB eMMC, Intel HD Graphics 400 Graphics, Chrome OS).